is a significant cause of accidental fires. 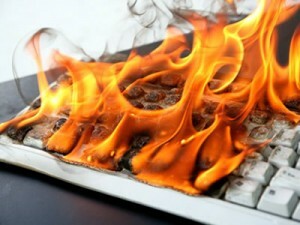 The main causes are: overheating cables and equipment e.g. due to overloading circuits, bunched or coiled cables or impaired cooling fans; overheating cables and equipment due to equipment left on, e.g. 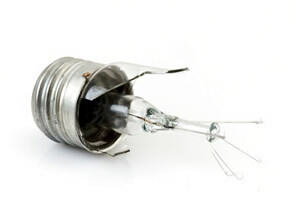 irons, kettles, electric blankets; incorrect installation or use of equipment; damaged or inadequate insulation on cables or wiring; combustible materials being placed too close to electrical equipment which may give off heat even when operating normally or may become hot due to a fault, e.g lack of maintenance or testing. All electrical equipment should be installed and maintained in a safe manner by a competent person. Issues to consider include: overloading of equipment, correct fuse ratings; PAT testing and testing of the fixed installation; protection against overloading of installation; protection against short circuit; insulation, earthing and electrical isolation requirements; frequency of electrical inspection and test; temperature rating and mechanical strength of flexible cables; portable electrical equipment, including lanterns; physical environment in which the equipment is used (e.g. wet or dusty atmospheres); and suitable use and maintenance of personal protective equipment. Periodic inspection and testing is necessary because all electrical installations deteriorate due to a number of factors such as damage, wear, tear, corrosion, excessive electrical loading, ageing and environmental influences. 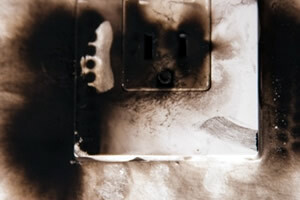 The wiring of buildings is an area that is often taken for granted, yet it can be the major cause of fire or injury. The requirements for fixed installation testing are contained within the Institution of Electrical Engineers 17th Edition, Wiring Regulations (BS 7671:2008). All electrical installations require testing to meet the requirements of the IEE Wiring Regulations. Conforming to PAT testing regulations will help you to ensure that the portable appliances in your business are safe and help you to avoid violations. 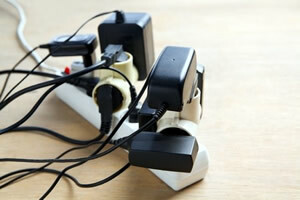 The current law requires that all employers maintain portable appliances and ensure their safety. PAT testing law requires that all landlords, employers and even self-employed individuals make sure that their portable electrical appliances are safe and are suitable and used for the purposes intended. The use of low voltage equipment should conform to the requirements of the Electrical Equipment (Safety) Regulations 1994,50 including the requirement to be CE marked. PAT testing legislation was put into effect to ensure that all companies conform to the Health and Safety at Work Act of 1974, Electricity at Work Regulations of 1989, Provision and Use of Work Equipment regulations of 1998 and the Management of Health and Safety at Work regulations of 1999. UK legislation imposes a duty on the Responsible Person, to carry out risk assessments and to take such precautions as to ensure as far as reasonably practicable the safety of the occupants. These measures include the provision of safe means of escape, including emergency routes and exits, together with, where necessary, signs indicating them. 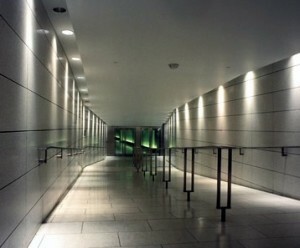 Adequate illumination needs to be provided, together with emergency lighting of sufficient intensity in case of failure of the normal lighting. It is important that equipment is properly tested and maintained if it is to function correctly when required in an emergency. All emergency lighting should be regularly checked and maintained by a competent person. The results of all testing and any necessary corrective action should be recorded in a Premise Log Book held on site, which should be available if required for inspection by any authorised person. Visually check that all lamps are operating and the indicators on the Central Power Supply Systems /Central Battery Systems are illuminated. Check that all emergency lighting equipment is in a good condition, all lamps and light controllers are clean, undamaged and not blackened. Simulate a failure of the normal lighting supply and check that all equipment functions correctly. Check that once the mains supply is restored, all supply indicators are illuminated. A Full System test including a full rated duration test should be conducted by a competent person.